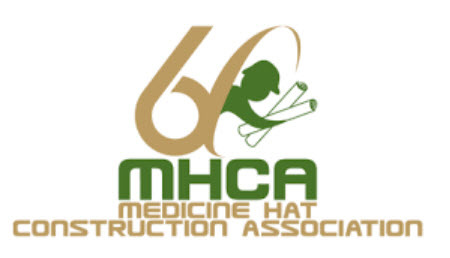 Commercial Construction Medicine Hat | Home | Advance Design & Construction Ltd. Whether you’re looking to create the newest local eatery or are expanding your business, we can help design and build exactly what you are looking for. commercial construction for Western Canadians. to say. Hear about past clients’ experiences now. any sized project for your business. Established in 2005, Advance Design & Construction Ltd. is a privately owned and operated commercial construction company based in Medicine Hat. We have been proudly serving communities in Alberta and Saskatchewan with top quality construction and design solutions for nearly 15 years. We feature full project planning and design engineering, quality materials and professional workmanship, fully trained and skilled sub-contractors, and a fully certified safety program forming a part of every project. Reliable and friendly services delivered with integrity, no project is too small or large for our dedicated construction teams. We aren’t satisfied until you are. Our experience includes professional medical offices and clinics, eyeglass and treatment centres, lawyers, accountants, and more. Let us build a functional and beautiful space for your business. Our steel buildings are perfect for repair shops, warehousing, airplane hangars, agricultural buildings, oil services, and other service buildings. Whatever your needs are, we can help. Whether you have a franchise fast food outlet or a standalone family restaurant, we can create a building to match the brand and taste of your cuisine. From fire stations to strip malls, we can create your vision. We have past experience in convenience stores, churches, community halls, arenas, and more. We complete renovations for all types of buildings. Whether you’re moving in/out or want a completely new floor plan, we have your business covered. We complete your project through careful planning, coordination, and years of expertise. Our project estimators will be happy to lead you through our process. Advance Design & Construction Ltd. is committed to providing its clients with a quality finished product through service that consistently exceeds expectations. We value a team of employees who are committed to working together to bring the very best service and product to our clients. Advance Design & Construction Ltd. takes safety seriously and is committed to providing an up-to-date, relevant, and active safety program for all employees, sub-trades, and visitors on job sites. Working and communicating as a team, together with mutual respect, integrity, and honesty. Jeff Brewster - Todd Lindsay and all the staff from Skinny's Smoke House. Blair Cassidy, Associate Director, Retail Construction at Hopewell. “Jeff and the entire crew at Advance Design were wonderful to work with. I would use them again and recommend them without hesitation. Ours was a difficult project being a custom optometric medical office being built on a hill. Jeff listened well as we presented concepts and needs. He went to bat for us many times with the city for some special needs and exemptions we needed. We found particularly helpful the 3D computer rendering of the drawings which helped us visualize and fine tune the office layout and look. They do quality work from the products they use to the workmanship of the various crews. Ron, the on site foreman, was a pleasure to work with and coordinated various crews and their quality of work wonderfully. On custom projects like ours there are bound to be problems. The entire team handled all problems professionally and with our ultimate best interests at heart. We particularly liked their system of tracking changes that developed and their associated billing’s. It was all recorded for all parties and costs known up front and signed for so there were no misunderstandings or hard feelings on any changes and charges. We are so pleased with how the project turned out. Well done to the whole team at Advance Design. Mike from 20/20 Vision Care.